When Liberia’s 14 year long civil war ended in 2003, the country’s military was left in tatters. It was left to foreign countries to reform the armed forces, after demobilising 100 000 former combatants. In September 2003 the United Nations Security Council formed the UN Mission in Liberia (formally activated on October 1, 2003), to implement the ceasefire agreement following the country’s civil war and facilitate the peace process as well as assist in national security reform, including national police training and the formation of a new military. In September 2012 the UN Security Council decided to shrink UNMIL’s military strength to 4 200 personnel between August 2012 and July 2015 and increase UNMIL’s police units by 420 to 1 795 personnel. As of May 31, 2013, UNMIL has a strength of 8 221 personnel: 6 661 troops, 120 military observers and 1 440 police. Some 43 countries contribute military personnel – 176 UNMIL fatalities have been recorded. Apart from UNMIL, African and Western countries, such as Ghana and the UK, have played a part in restructuring Liberia’s military. 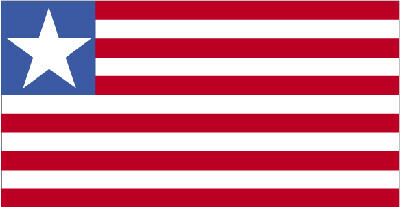 Since 2006 the United States has been supporting the reform of Liberia’s military through the Liberia Security Sector Reform programme, from January 2010 known as Operation Onward Liberty. In 2005 the US began funding DynCorp International and Pacific Architects and Engineers to train 4 000 Liberian military personnel. In August 2008 Liberia’s President formally created the new Armed Forces of Liberia (AFL). The National Coast Guard was formally re-established in February 2010. It operates two US Coast Guard Defender class boats donated by the US in February 2011. The 2008 defence act calls for the creation of an Air Wing, which will take place at some stage in the future. The Liberian military currently comprises two infantry battalions (1st Battalion, 23rd Infantry Brigade and 2nd Battalion, 23rd Infantry Brigade) and supporting units, consisting of approximately 2 000 personnel. Liberia’s military has almost no hardware, as almost all aircraft, equipment, materiel and facilities were damaged or destroyed during the Civil War. The country has received almost no new equipment, apart from some 50 assault rifles, 200 000 rounds of 7.62 and 100 000 rounds of 9 mm ammunition received from China in 2008. In June 2013 Liberia sent approximately 50 troops to join the United Nations MINUSMA peacekeeping mission in Mali, its first peacekeeper deployment since the 14-year civil war ended. The only other time Liberia has deployed peacekeepers was in the 1960s when it sent troops to the Democratic Republic of the Congo. External	 •	Liberia has been accused of supporting rebels across the border in places like Ivory Coast and Sierra Leone. Internal •	Unemployment, illiteracy and corruption are serious problems that affect Liberia, as well as a high crime rate. Regional •	Drug trafficking affects all countries in the region, as it is a stopping off point for drugs travelling from South America to Europe. Political •	Liberia is politically stable, although there was opposition unrest around the 2011 national elections, revealing that security, social and political conditions remain fragile. Economic •	Much of Liberia’s infrastructure and economy was decimated during the civil war, but is recovering, especially as the country exploits is resources, which include minerals, timber and farmland. Nevertheless, Liberia is one of the world’s poorest countries.